JOCO has come to the rescue of your daily ritual. 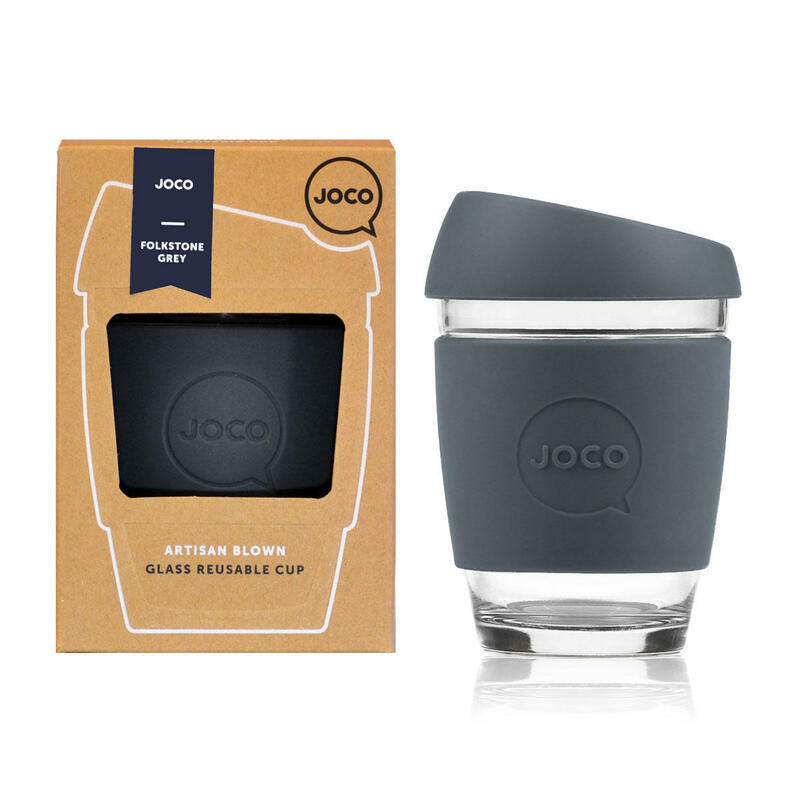 Whether you like a cappuccino sitting neatly in your car's cup holder, or prefer your peppermint tea to fit snugly in your palm as you embark the streets, JOCO Cup is the reusable, portable glass coffee cup. Featuring hardened glass, a colourful silicone sleeve and award winning packaging. We are sure that JOCO will be your new best buddy throughout your journeys. Made from strong borosilicate glass, the JOCO cup is a stylish, sturdy and smart solution to enjoying your everyday cuppa, without beating up on your taste buds or Mother Nature. Every JOCO cup is fitted with a thermal silicone sleeve, ensuring your coffee stays steamy, not your digits. Plus you can forget the goo at the base of the cup with JOCO cup's cyclonic base, which pulls sugar and other additives to the centre of your coffee, greatly improving dissolving and creating a balanced flavour. Made from hardened borosilicate glass. The same glass Pyrex, laboratory flasks and baby bottles are made from. Strong, light and heat resistant. Versatile - Use JOCO for coffee, tea and even water or wine! Help reduce landfill by using a reusable coffee cup. Did you know disposable paper cups aren't recyclable?